This touching letter set lets you express gratitude and tell him how much you love him. You know you love your dad, but do you always tell him like you should? 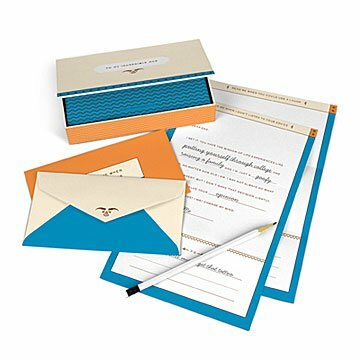 Remind pops how much he means to you with this touching letter set. Filled with situation-specific prompts like: "Read me when you need to know how much I love you" and "Read me when you miss me," the sweet collection invites children to recap memories and express gratitude. Presented in a lovely keepsake box, each letter is like receiving a hug from miles away. Made in China.